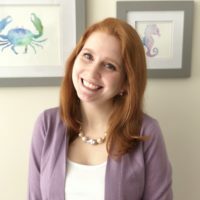 Disclosure: This post contains Stitch Fix Affiliate links, and I may receive compensation. It has been another hot Summer in the city, which means it’s hard to find comfortable, fashionable, and weather appropriate clothing items for the workplace. Most of my commute involves me walking outside in the elements before jumping on a train, so I need items that are light, airy, and still look like I tried to put myself together for the day even though I’m melting. In this Fix, I also asked for a romper, my first ever, so let’s see how this goes. The first item out of the box was a denim looking top. From first glance I wasn’t sure I was into it or how it would look on me. The color itself is a nice light blue, but it didn’t scream Summer to me. The fabric has a bit of weight to it, although it’s not form fitting where it becomes unbearably hot, but I’ve still yet to incorporate this top into my wardrobe yet because it’s been too hot for a top with sleeves (at least outside during my commute). When I did try it on, I started to come around to the style, and find it’ll look great with white capris or jeans. Now, I just need to the temps to drop 20 degrees and I’ll be ready to rock it. 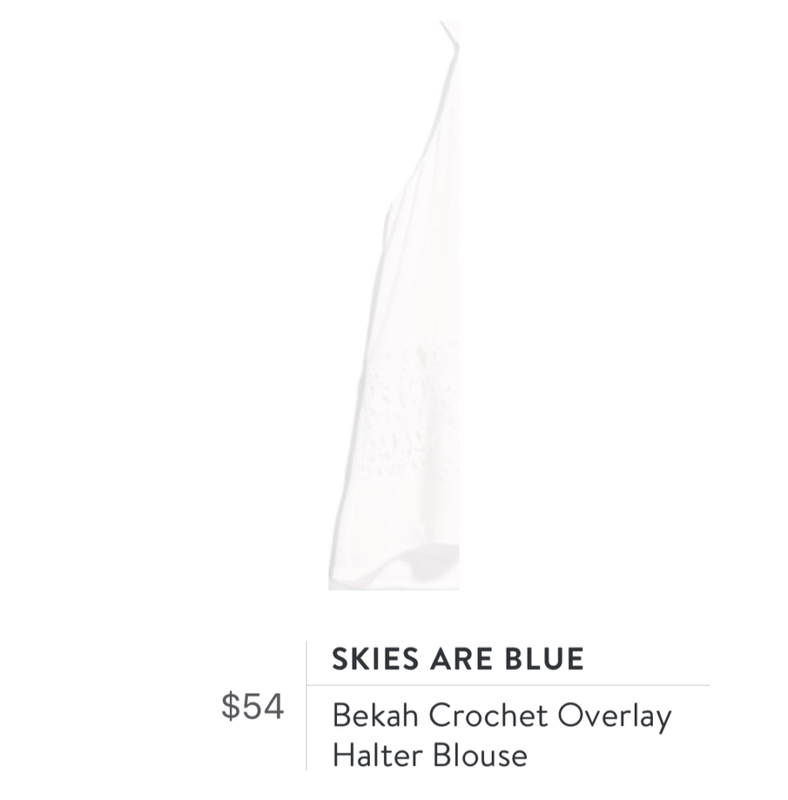 Seems the Skies are Blue over here in New Jersey, with my second piece being from the same designer. I’ve never been one for halter tops, mainly because I tend to wear normal bras that of course come with straps that will show with any type of non standard neck/shoulder line top. I was a little hesitant, but I figured I could give a top a go that required a strapless bra and hope for the best. Well, I absolutely love this top. Halter tops don’t have to be cheesy or unprofessional. This halter top is absolutely gorgeous, with just enough crochet detail to take your style up several notches and be able to rock this white beauty to the office or on date night. It’s truly a 10/10. 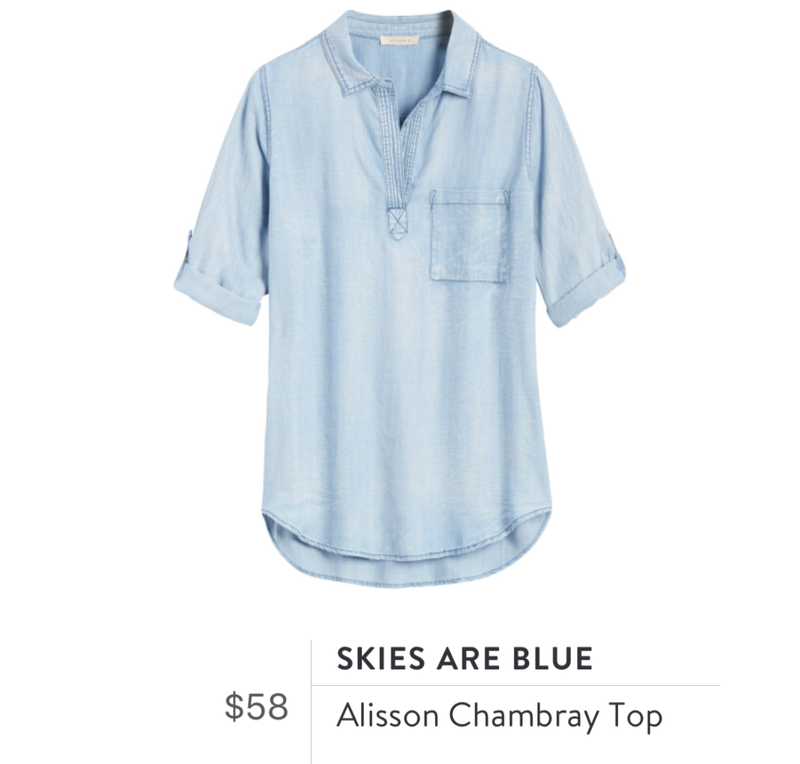 I’ll pair this top with the next item, so scroll to see what it actually looks like since the Stitch Fix app screenshot was busted. 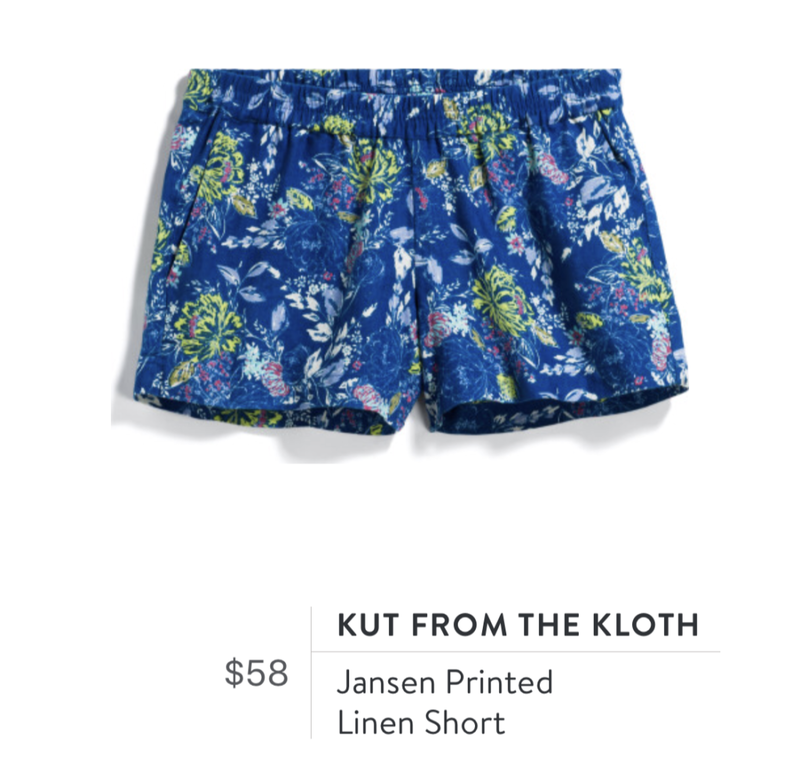 While I love shorts, I only have one pair in my collection that’s actually linen, and that seems like a crime since linen is the perfect Summer fabric. I was excited to pull these beauties out of the box and admire their fun and vibrant colors and print. I was a little hesitant at first to figure out what color top I own that I could pair with these and still look put together, but my stylist already thought of that, and mentioned these shorts would go perfectly with the white halter blouse or the chambray top from this box. Later on, I did try these on with a plain white tank and felt the look was cute, but made me look too relaxed, as if I was in a pair of pjs. 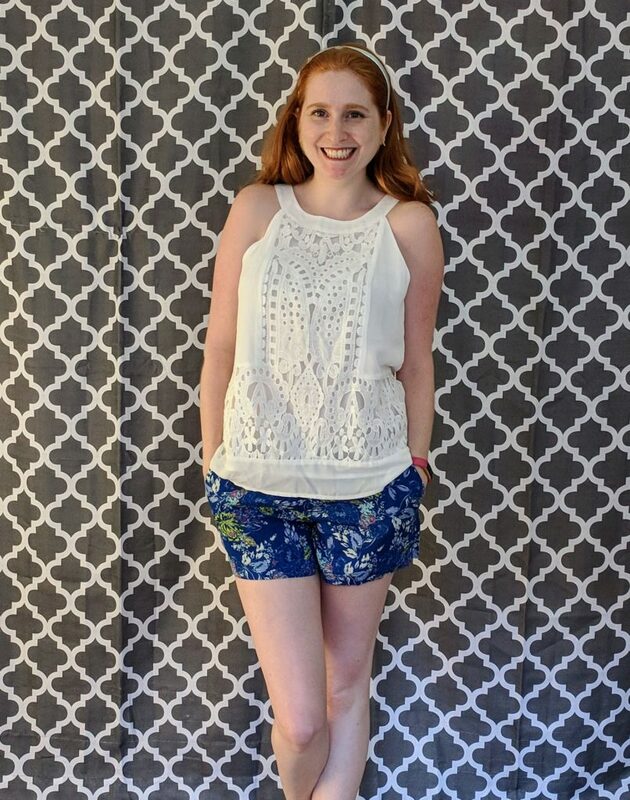 So, I guess the awesome thing is that you can really elevate these shorts with a fancier top like the crochet halter, or wear it down by putting on a plain tank. You can get two looks out of one pair of shorts! I should also mention the length on these shorts is also a little longer than I usually wear, but that makes them great for work. I’ve been interested in skirts more and more lately. One, because they are more appropriate for the office than my booty shorts, which don’t get me wrong, I’m still wearing to work (tech companies for the win), but two, they are so effortless and can make even a cotton tank top come together for a professional look. This flare skirt is a winner. 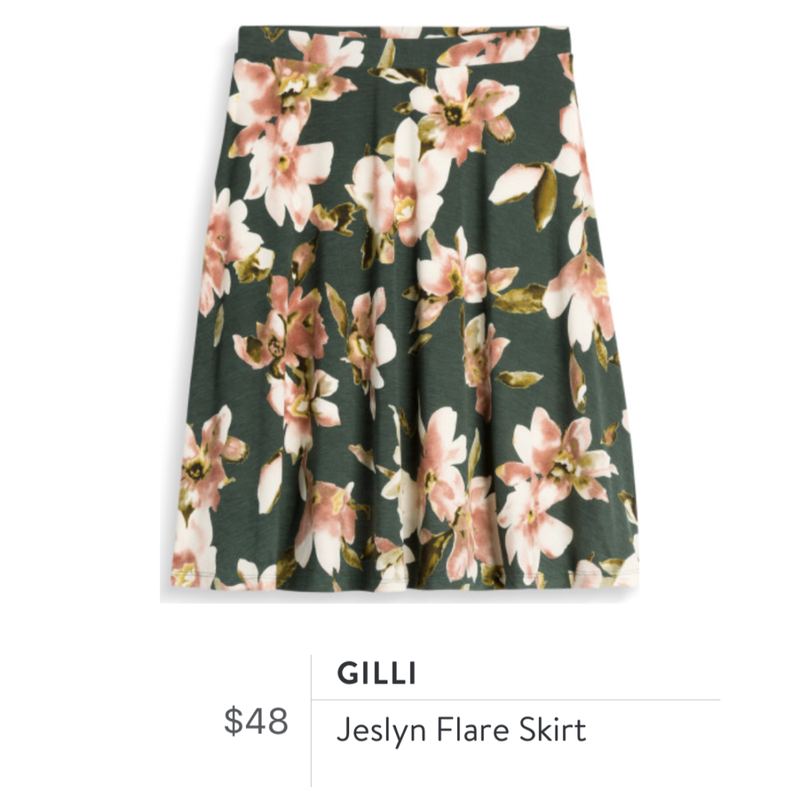 The floral pattern is perfect for transitioning from Spring, Summer, and even to Fall. It’s extraordinarily flowy and beyond comfortable. Pair with a pale pink cotton tank, or a white or light green silk top and you’re golden. Now for the piece we’ve all been waiting for, the romper. When I requested a romper I had vision of a short sleeve, or spaghetti strap item, but what I pulled out instead was a long sleeve romper. I have to admit I was a little confused why I was receiving a long sleeve romper in the middle of summer. How was I going to wear this in 90+ degree heat? 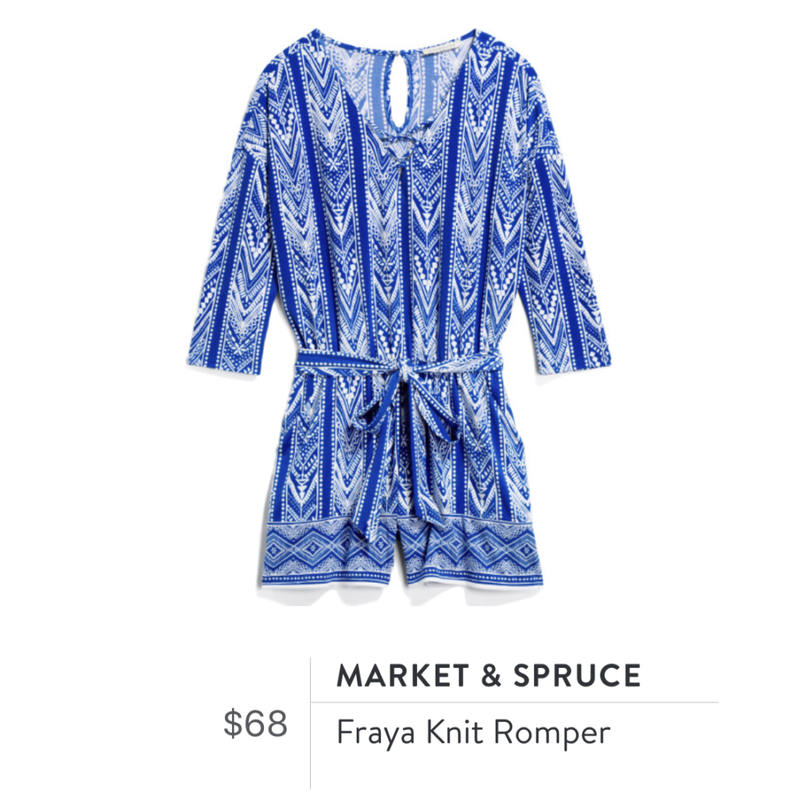 If you get this romper, the first thing you’ll notice is the weight to it. It’s pretty heavy, although the fabric itself isn’t too bad when you wear it. The colors are to die for. When I see the bright white and blues on this piece, all I can think of is resort wear and Greece. Now I’ve never been to Greece, but I think this would be a nice outfit to wear there. Thankfully, the temps dropped a bit one day so I was able to give it a go and found it was a really fun piece to wear and pretty manageable to deal with when it came to visiting the restroom. There’s one button in the back by the neck that’s pretty easy to maneuver and makes getting in and out not too painful. Finally, the best part of this romper are the pockets! You can’t go wrong with anything with pockets! Final Thoughts: For a Summer Fix, this box hit most of my checklist. 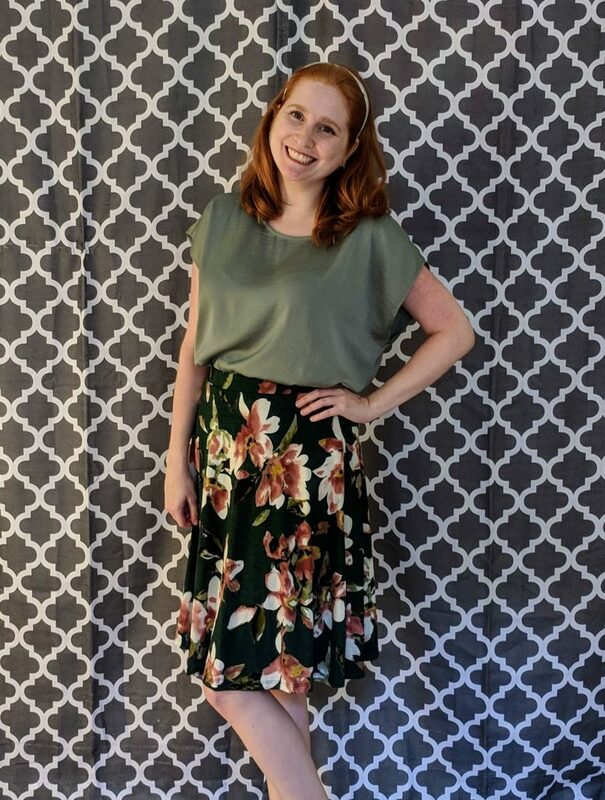 I wish two of the five items weren’t longer sleeved so that I could actually enjoy them now, rather than in the Fall, but I’m really happy with the pieces my stylist Cassandra sent to me. 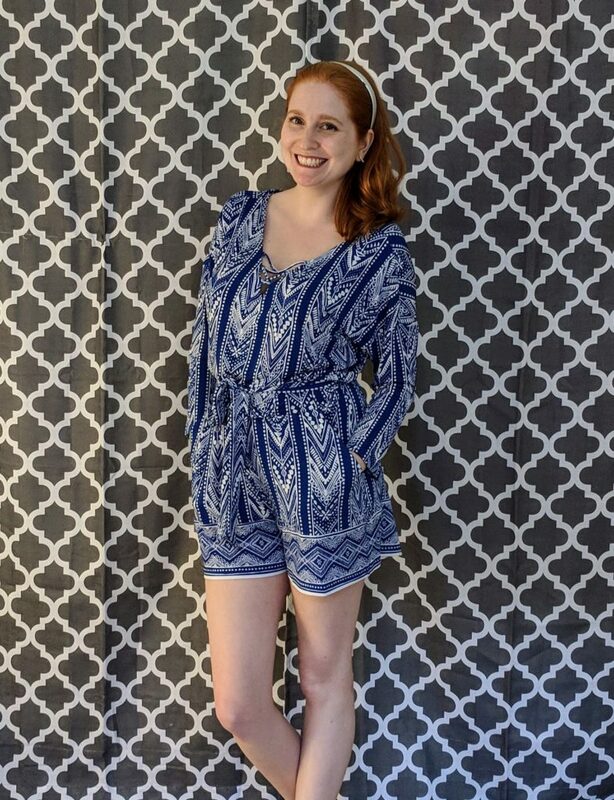 I was able to give some new looks a try with both a romper and a halter, and I started to realize I shouldn’t limit my style based on old assumptions I had. As they say, you never truly know how something will look until you try it. Go out there and try a new fashion trend, it might just become one of your favorites! 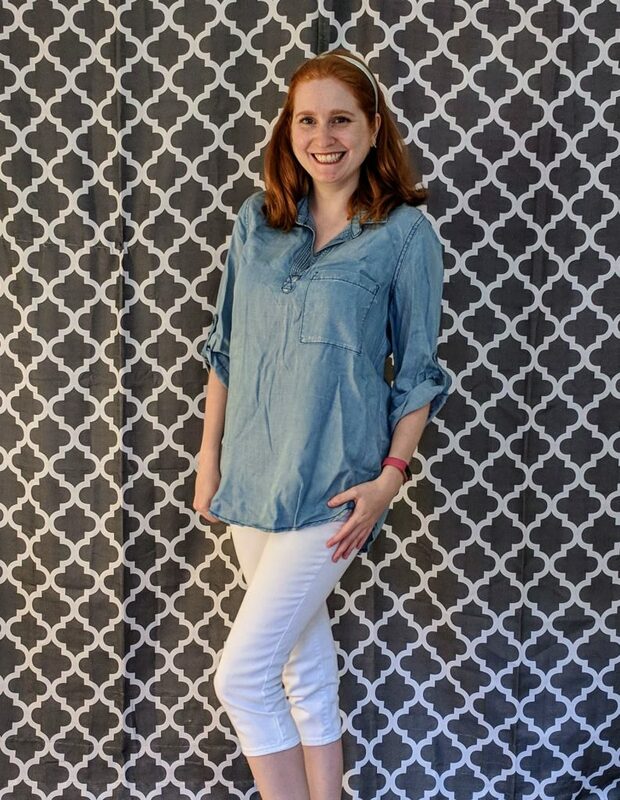 Don’t forget to follow my Pinterest Boards for more Stitch Fix fun! 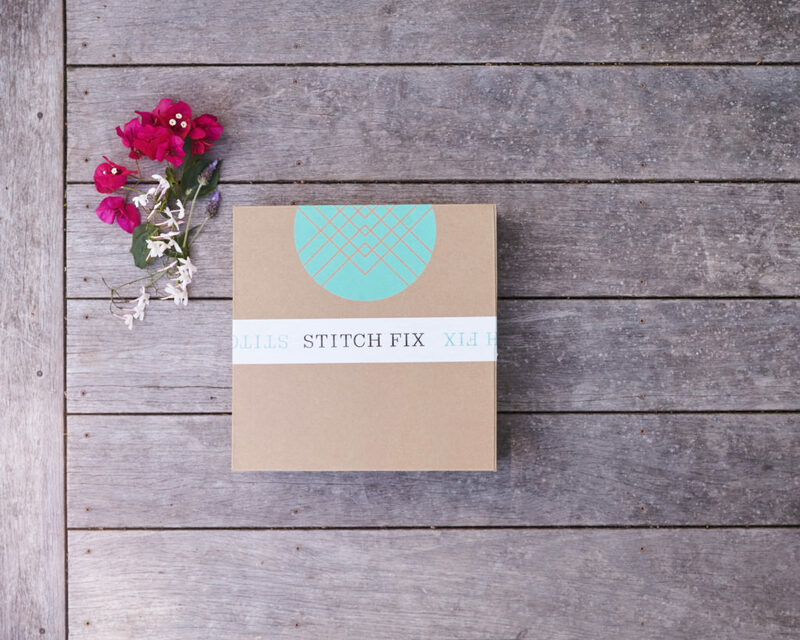 Haven’t tried Stitch Fix yet? Sign up with my Stitch Fix code!